Happy Friday and thanks for stopping by. I thought this post wouldn't happen ~ I've been crazy busy this week but I managed to stitch together the block, Ava, last night. 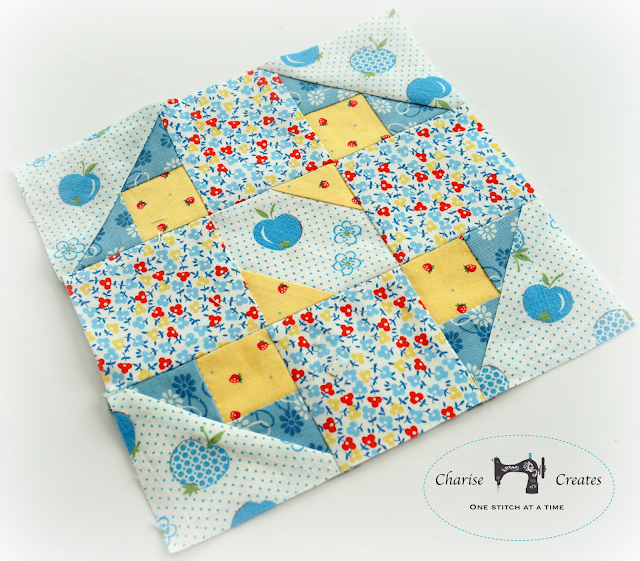 This is a fun and easy block to make. I changed up the position of the fabrics a bit. I put the apple print on each corner instead of the floral which makes it a less busy. 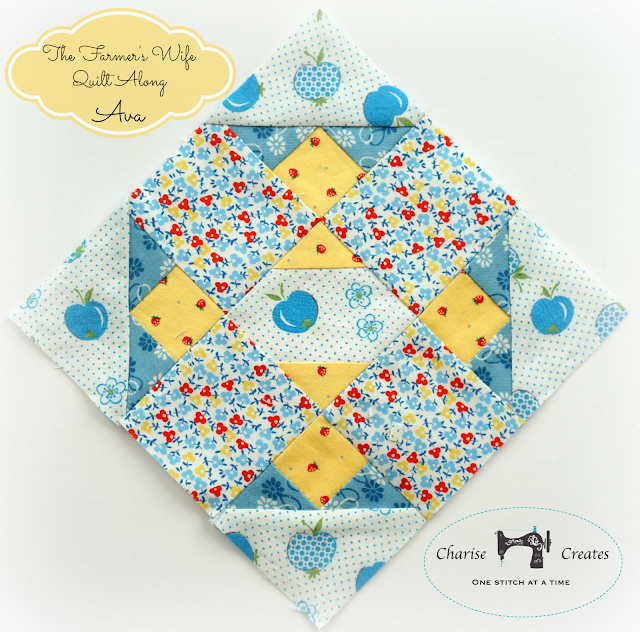 The apple fabric is from a vintage circa 1930's apron. The multi floral is Windham Fabrics Story Book Playtime. The Blue Floral is called Dresden Plates - I love the tiny scale floral ~ perfect for small pieces. And last but not least is the yellow with mini strawberries ~ Minny Muu by Lecien. You should be they are beautiful! I love that you used a vintage piece of fabric from an apron. You are very gifted in putting fabrics together. I love Farmers Wife Fridays. I love your colors! Simply lovely! 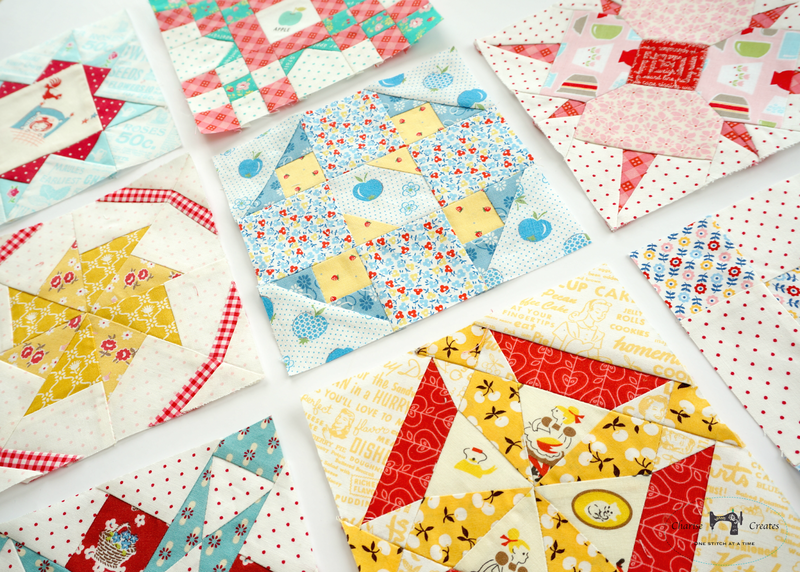 Your blocks are so pretty. Love them all. I have seen many fabric variations for this sew-along and yours is my favorite. 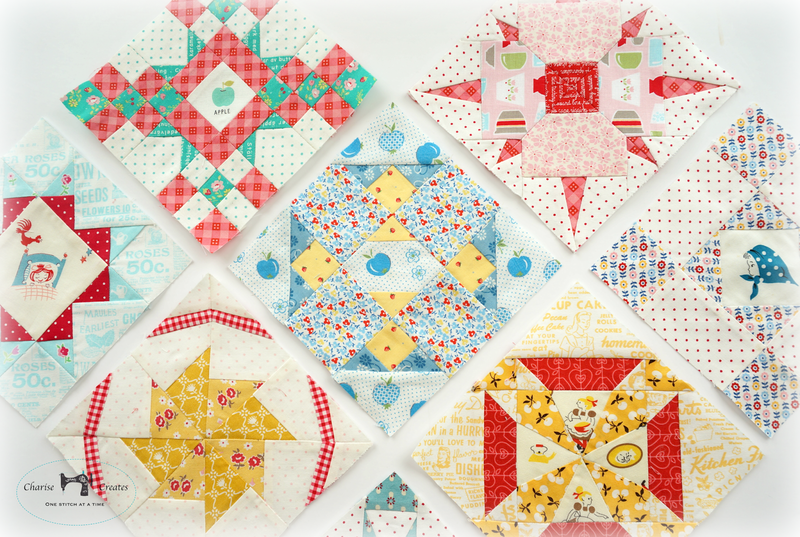 Your quilt will be beautiful.